Last Wednesday, I embarked on the long and winding road back to law school. Literally. 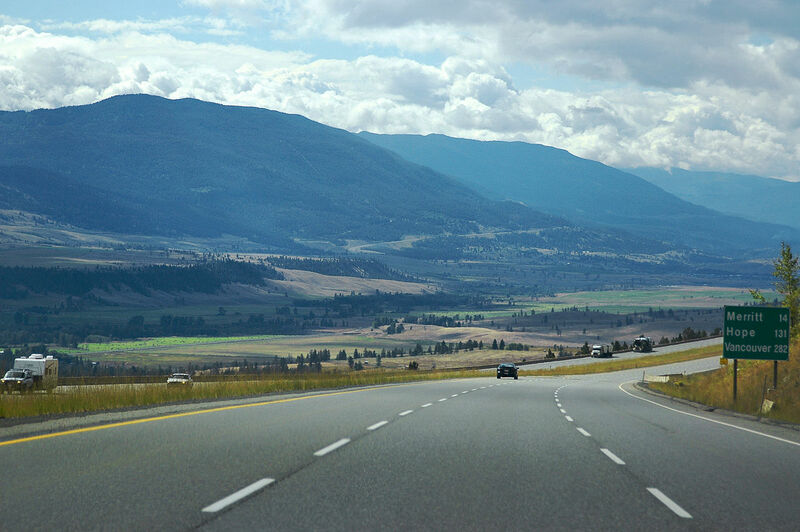 Leaving Vancouver in the early hours of the morning, I hopped on the highway and took the scenic drive through the mountains heading northeast to Thompson Rivers University in Kamloops, BC. I’d been asked to participate in the class for two reasons: 1) to share my story of building Knomos with the students as an example of a non-traditional legal career path (“Hey, this is possible!”); and 2) at the end of the term, to be one of the “legal dragons” evaluating student pitches & proposals. Speaking with the class was an awesome experience, albeit a little surreal at times. It’s a honour to be included among guest speakers who are thought leaders and key influencers in the legal industry including Mitch Kowalski, Sarah Sutherland, Hersh Perlis, and Fred Headon to name a few. Being on the “legal dragons” panel later this fall is equally rewarding, as Knomos itself started as a student submission to the McGill Dobson Cup startup competition back in 2014. While I don’t yet consider myself a legal industry expert, given that the more I learn the more I realize I still have a lot to learn, I’m happy to offer students insights & advice based on my experience thus far. The experience was also validating on a personal level. One thing about law school that often goes unmentioned is that it’s not just a education, it’s an indoctrination. Throughout 3-4 years of classes, extracurricular activities, and firm-sponsored events, there’s a subtle but ever-present undercurrent reinforcing a belief that the career path towards becoming a senior partner in a big law firm is the holy grail to which all students should aspire. The flip-side of that mindset is that doing something different is doing something less. Like millennials in many other professional industries, it’s a narrative I’ve personally struggled with over the past couple of years since leaving school. I transitioned from practising in BigLaw, to being a sole practitioner, and then co-founding a legal tech startup. Much like the drive to Kamloops, my journey has not always been a straightforward one. There have been some unexpected twists and turns, and more than a few bumps along the way. But I am better for it, and that much better prepared for the road that lies ahead. It meant a lot to share my story with the students and I hope it will help some of them too as they prepare for life after law school. I’m excited to hear the student pitches later this fall and their innovative ideas for improving legal practice. Just as important as the idea, however, is the execution. So my best advice to the students is this: Do things. Tell people. Listen & learn from their feedback. And then keep going. While the destination may not always be the one you set out for, the journey is worth the while. Adam, could not agree more with your comment that law school pushes people towards BigLaw. In my opinion, students in law school lack an understanding of available alternatives (maybe because there are so few?). Schools need to do more to help students become aware of non traditional legal careers. Either through seminars and job postings or by teaching students the tools to seek these careers on their own. 1) law firms see schools as their primary recruitment channel (understandably so), such that they make substantial investments in maintaining a high level of visibility on campus via sponsored events, contributions to student groups & associations, and giving away brand promo material, because hey, everybody likes free stuff! 2) it’s still early days for many types of emerging #newlaw or #altlaw careers. I think that as the legal tech startups and alternative business models become increasingly recognized as viable alternatives to traditional practice, students will benefit from a greater awareness and choice of career options. Just imagine having legal tech startups also recruiting at campus career day! I’m sad to say I missed your presentation and sincerely look forward to meeting you come “Den Time”. I would add that in my experience both in law school in Boston and now in Kamloops, the indoctrination extends beyond career paths. I recall first semester of 1L exams, where my peers and I would compare study strategies, plans, outlines/CANS and keep tabs on who was in the library, for how long, and how many times they checked Facebook. I am a very unique kind of learner, and so my style was not accepted as “doing enough”. Why do we get so caught up in the way of the many, when as you say being different is not “less” but a sign of someone with the courage to break the mold! Sorry to have missed you Nawel, I too look forward to connecting later this term. Your comment about the perceived expectations of keeping up with your peers resonates with me, it can be tough at times! Part of it may stem from the fact that via the admission process and law school itself is geared towards smart & driven high achievers who are used to being at the top of their class. This ranking mentality sets the bar quite high but can also distract from the focus of true learning. That said, I’m a firm believer in sticking with what works best for you and your personal learning style, regardless of perceptions. It’s gotten you this far, stick with it! With such a diverse work experience I suspect that each role influenced you and taught you something. Is there anything about BigLaw that you miss? What was the highlight and low light of your various positions if you don’t mind sharing. Any big take aways? You’re right Germaine, I’ve learned a lot from each of my work experiences, including those outside the legal profession (I also taught sailing in the Caribbean for a year, but that’s a story for another time). Working in BigLaw came with prestige, high-profile clients, and learning the ropes from some of the sharpest legal minds in the industry. It also came with long hours, little autonomy, and a high stress environment. Transitioning to being a sole practitioner and then on to a legal startup were equally rewarding and challenging for their own reasons. The biggest takeaway is that there are pros & cons to every job position. The things you love, and the things you wish you could change. There’s an expression I’m fond of, “You can’t be bigger than me and smaller than me at the same time.” It’s helped me to focus on the advantages that a particular opportunity offers, no matter how big or small, rather than engage in an endless comparison with other options. A legal education will serve you well regardless of the career path you choose. There is no set path but the path you set for yourself!